As more reactions greet the return of President Muhammadu Buhari on Friday after a medical vacation, pharmacists under the aegis of the Pharmaceutical Society of Nigeria (PSN) have joined Nigerians to welcome him, saying they were particularly delighted that the President looked hale and hearty. It would be recalled that President Buhari returned from his medical vacation in London on Saturday, August 19, after being away from office and the country for a period of 103 days. In a release by Pharm. Ahmed I. Yakasai and Pharm. 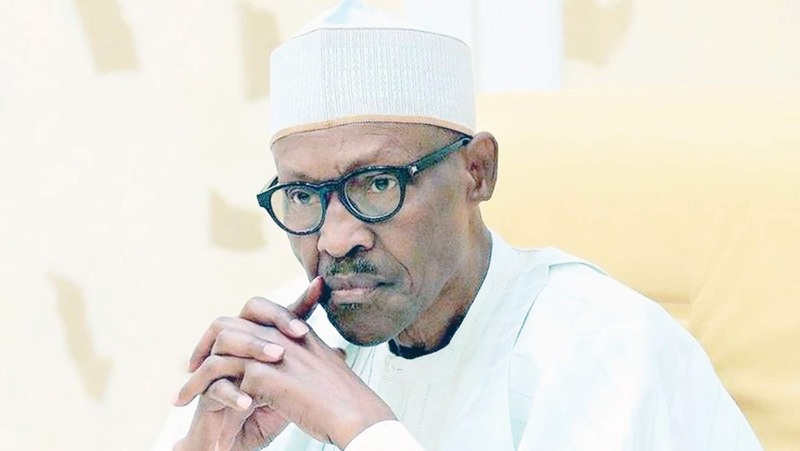 Gbologade Iyiola, President and National Secretary, respectively, the pharmacists said that President Buhari’s return was an eloquent testimony to his fitness, good care and of course a self-imposed determination to shake-off all vagaries of ill-health by a passionate President. “It is therefore most apropos to return all glory and honour to the creator for divine intervention in arresting the hitherto sliding health of Mr. President while also wishing His Excellency a full complement of robust health grounded in wellness and vitality,” they said. The pharmacists, however, said that the recent development about the need for health interventions outside the country compels a need to continue to appraise the totality of the health system. They said there were challenges with the funding and structure of health inclined endeavours, which compelled defective outcomes. They added that in terms of evaluation of structures in the health system, a vital component remained appointments in some of the regulatory agencies and other strategic organs in the health sector. “The Pharmaceutical Sector is particularly hard hit without an array of salient appointments at National Agency of Food and Drug Administration and Control (NAFDAC), Pharmacists Council of Nigeria (PCN), National Institute for Pharmaceutical Research and Development (NIPRD). “This position of the enabling Act was subjected to appraisals by the Federal Ministry of Justice in the year 2001 prior to the appointment of late Prof. Dora Akunyili, the second DG of NAFDAC and a frontline pharmacist who once worked with President Buhari in his capacity as Chairman of the defunct Petroleum Trust Fund (PTF) when Prof. Akunyili was a pharmaceutical consultant. “It is imperative to also put on record that the pioneer Director General of NAFDAC – Prof. Gabriel Osuide, was a globally acclaimed pharmacist and researcher in the sciences,” they stated. The pharmacists added that expertise in drug and food matters is also exclusive to a registered pharmacist by virtue of his training and that was why pharmacists in tandem with global best practice are described as experts in drugs. They contended that in terms of the regulatory processes in a core regulatory agency like NAFDAC, only a pharmacist has a jurisdiction as a regulatory officer in all the core mandate areas of pharmacy, food and drugs. “By virtue of Section 5 and 6 of PPA Cap 535 LFN 1990, only a pharmacist can be appointed a pharmaceutical inspector to regulate pharmacy practice, while by virtue of the Food and Drugs Act cap 150 LFN 1990 (as amended) pharmacists can be appointed as Food and Drug Inspectors to fulfill the totality of the NAFDAC mandate. “These issues were canvassed when a delegation of the Pharmaceutical Society of Nigeria led by its President visited Mr. President on April 7, 2016. “In similar spirit, we find it necessary to request for constitution of the governing council of the Pharmacists Council of Nigeria, National Institute for Pharmaceutical Research and Development and the Boards of Federal Health Institutions to boost efficiency and entrench competency in the health sector,” they said. They insisted that the health system must be revitalised in line with the progressive strides being recorded in the development of infrastructure in road and rail construction among others in our country. They wished President Buhari a fruitful and productive tenure in the next 21 months, praying that the days ahead would usher hope, prosperity, good health and unprecedented progress to Nigerians. “The Pharmaceutical Society of Nigeria remains an undisputable ally of the Federal Government in meeting its goals and objectives of good health to the citizenry. We believe albeit strongly that these goals and objectives must be hinged on lawful appointments in all ministries, departments and agencies (MDAs) to facilitate positive outcomes for consumers of health in our nation. “We therefore assure government of our support at all times even as we convey our courtesies to President Buhari,” the pharmacists said. President Buhari resumed official duties on Monday, but Presidency sources said he would be working from home. He also addressed Nigerians in a nationwide broadcast.